The gondola, a masterpiece of nautical engineering that laughs in the face of logic and of the rules. The image of Venice the world over is intimately connected with the gondola, the symbol “par excellence” of the city, that it is well-nigh impossible to come up with anything that has not already been said, written, painted or illustrated a thousand times before on the subject. The gondolas of Vittore Carpaccio, as they appear in a famous painting (“Il patriarca di Grado guarisce un indemoniato con la reliquia della Croce”), previously held in Venice in the Scuola Grande di San Giovanni Evangelista, now on display in the Gallerie dell’Accademia): slender, balanced shapes that floats on the surface of the Grand Canal as if they were insects atop the motionless waters, with handsome gondoliers at the stern, with their exotic features and their characteristic brightly-coloured garb. The gondolas that appear on certain canvases of Canaletto or Guardi in celebration of solemn departures of the Bucentaur or grandiose arrivals of ambassadors, clustered around the Doge’s flamboyant parade ships; the strangely, sumptuously surreal gondolas born of the Venetian musing of Turner. The gondolas in which Baron Corvo, poet of his own absurd existence, chose as his residence in which to fashion his prose in golden ink; those in which “la Foscarina” set forth gaily in Gabriele d’Annunzio’s work “The flame of Life”. At long least, my photo-book offers a new portrait of this starring feature of the literature, painting, music and indeed the very life of Venice: a realistic and sticking portrait that shows you the gondola as it really is, with its seemingly absurd shape, a masterpiece of nautical engineering that laughs in the face of logic and of the rules. Whit my images I want to show you the equally fascinating, adventurous task of the men who build the boats, the master “squeraroli” whose daily works keeps alive and afloat an ancient art, imitated by many and emulated by no-one, and the craftsmen who shape the various parts of the boat, as oarmakers, brassmakers and gilders. 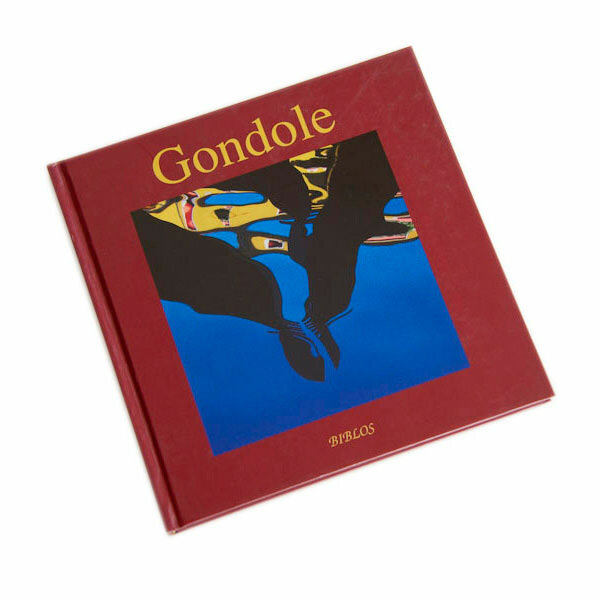 For me, the making of my book “Gondole” has been a veritable voyage of discovery through the world of the gondola, and I guess that even those who may think they know this boat well, on their next trip to Venice will certainly see those mysterious black crafts through different eyes.